Busy mind? These hypersthene heart necklaces offer control, presence, and centeredness – for even the most chaotic of minds. Hypersthene is a member of the Enstatite family of stones and can be found in a variety of locations around the world. If you’re anything like me, you’ll find yourself drawn in by the dramatic light play and chatoyancy in these hypersthene heart necklaces. 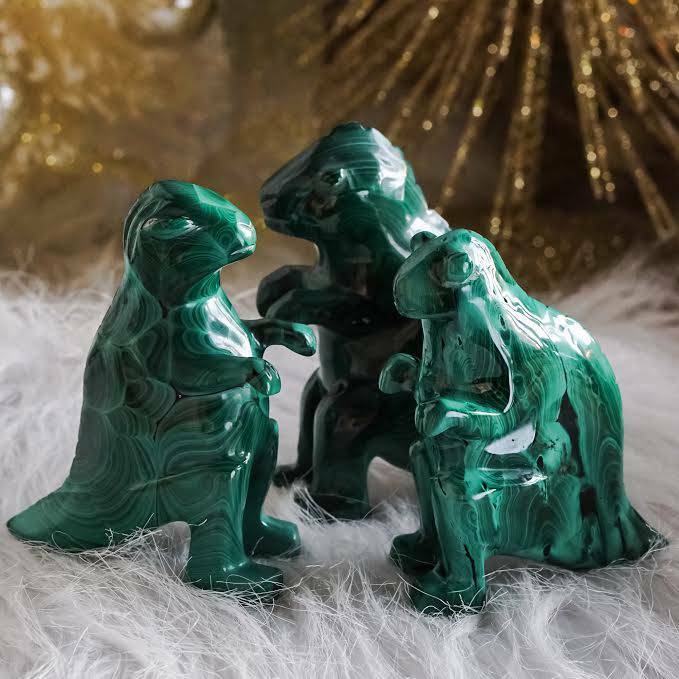 This stone is well known for its silvery light play, but it has a strong reputation for healing trauma and for assisting with post-traumatic stress disorder, as well as ADHD and even autism. If you are seeking a talisman to help you with mental integration and clarity, this is the offering you’ve been seeking. These hypersthene heart necklaces are absolutely gorgeous, but beyond their beauty and elegance, they carry meaning and energy. Jewelry for us priestesses, energy workers, Goddesses, and sorcerers is not just a matter of accessorizing. 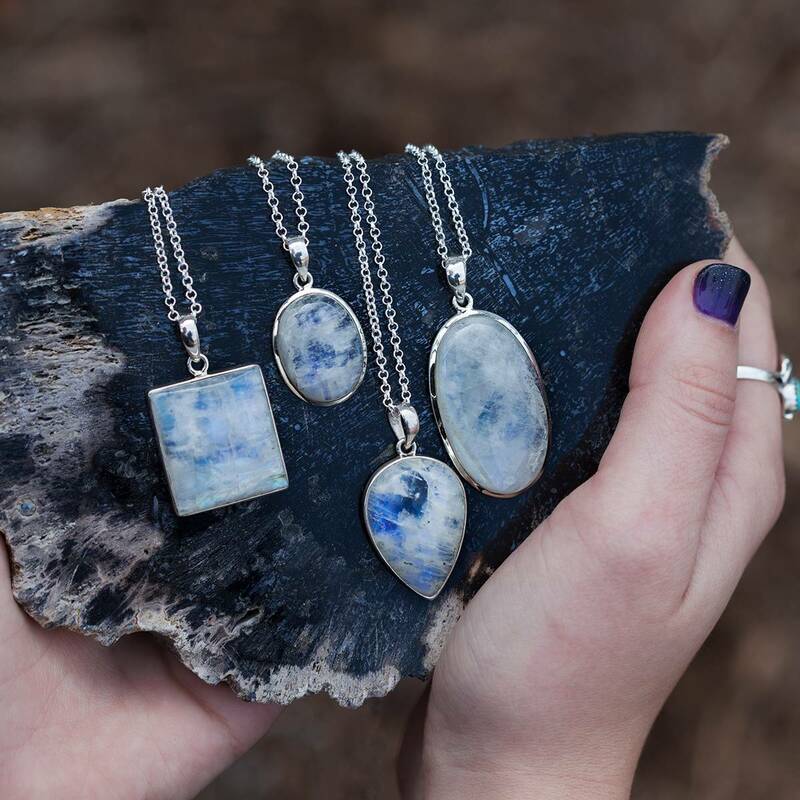 You all know I believe in sacred adornment – in the process of deliberately choosing each piece of crystal jewelry with care and intention. These choices matter. Because when we wear jewelry, we invoke the elements and the metaphysical energies of the stones we choose to adorn ourselves with. A Third Eye Chakra stone, hypersthene is well known for promoting psychic visions. It can reveal insights about your life in order to help you solve any problems you may be experiencing. In essence, hypersthene will support you as you come to understand, accept, and eventually heal and integrate your shadow side. 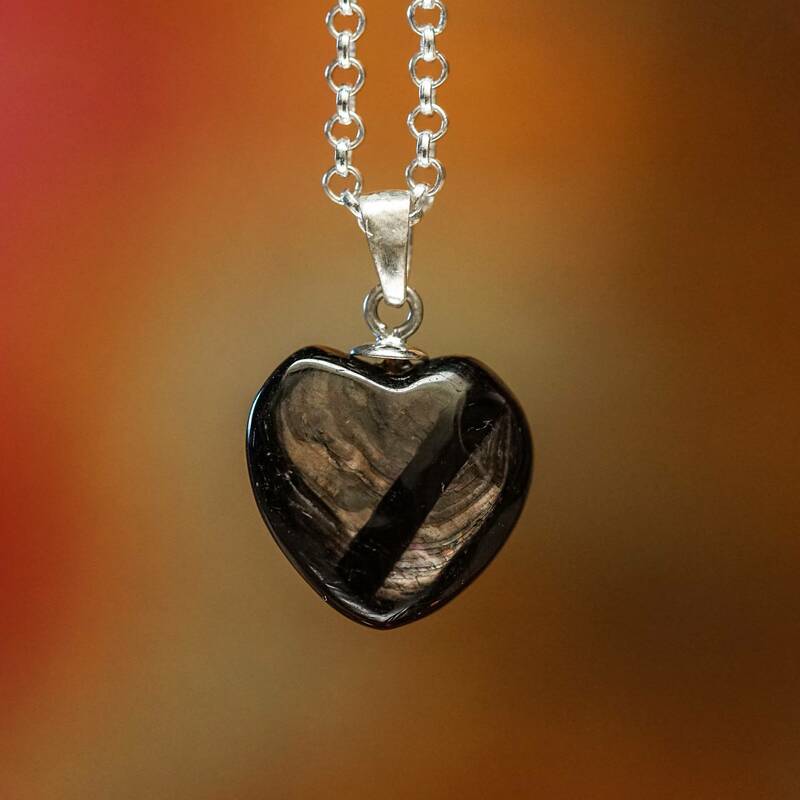 I recommend using your hypersthene heart necklace in meditation, as it helps you look inwardly. Be kind to yourself. Accept the judged, shamed or disregarded parts of your nature. This magical work is challenging, but it will expand your conscious self-awareness, which can ultimately bring you into a state of precious wholeness. 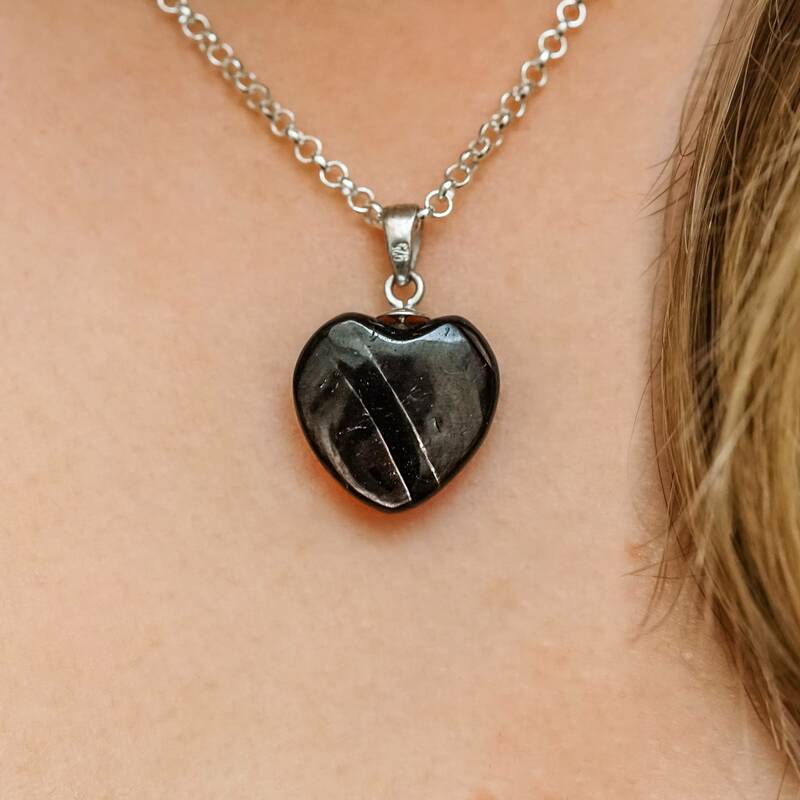 This listing is for one (1) hypersthene heart necklace, with a 925 Silver clasp, about .5-.75” in size. 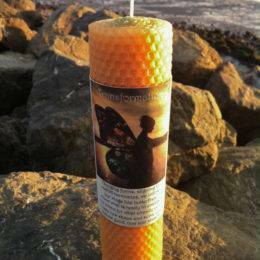 Yours will arrive lovingly gift wrapped for your enjoyment, along with one white sage leaf you can use to clear energies. This hypersthene necklace feels comforting and soothing – I have been wearing it daily since it arrived. In addition to that, it came on a .925 sterling silver chain, which made it an absolutely incredible value! Love this piece. I absolutely love it. It’s delicate and beautiful, tiny, elegant, so cute. It has a gorgeous shine. And it comes with a nice silver chain. Perfect! I wear this everyday. The suddle vibration is so soothing. I find myself holding it often.